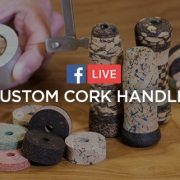 See the latest shipping news Mud Hole has for all rod builders and anglers interested in building their own custom fishing rods. 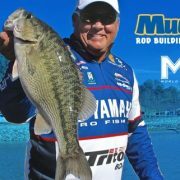 Rod builders called for it, now Mud Hole’s making it happen! 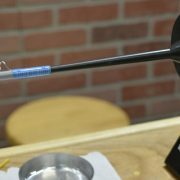 At Mud Hole, our rod building customers and the custom rods they build are the top priority. From our knowledge of custom components and customer service, to our new updated shipping policy, Mud Hole works hard to ensure rod builder’s get the products they need at an unbeatable value. Does domestic shipping apply to Alaska? Domestic free shipping and flat rates apply to Alaska, Hawaii, APO/FPO, and Puerto Rico. 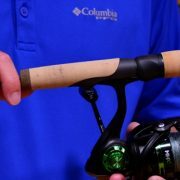 Would oversize charges be applied to an 7’6″ rod blank? No, there are no oversize charges for blanks under 8′. Are backorders and out of stock orders eligible for free shipping? Yes, all backorders and out of stock orders will be shipped as soon as they become available—free of charge. How are orders that qualify for free shipping delivered? Orders are dispatched by the most economic means possible, however, there are additional options for expedited shipping. All domestic orders over $99 will be delivered with free shipping, so yes it’s FREE! Something seems fishy about the holidays this year and it’s might be that Mud Hole’s shipping rates are feeling the holiday spirit. 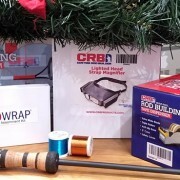 Stuff this year’s stockings with all the rod kits, components, supplies, and tools you need to keep you or your favorite rod builder jolly. 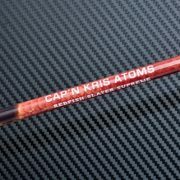 Like custom rod building, this new shipping policy is the gift that keeps on giving… and just in time for the holidays!